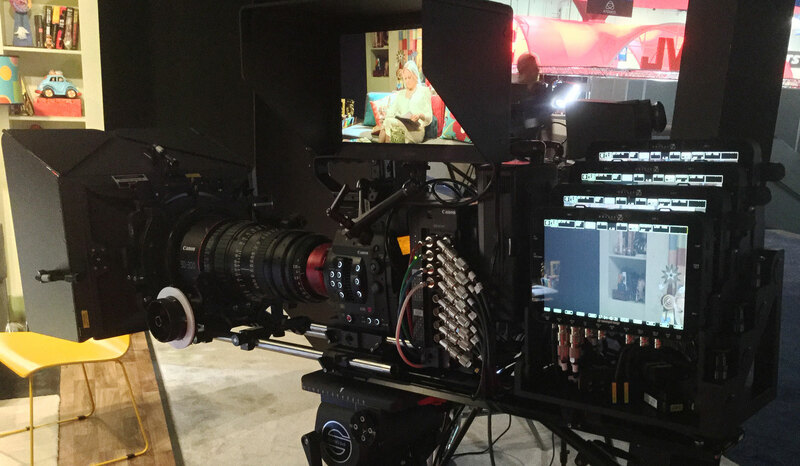 The annual National Association of Broadcasters convention and equipment show – aka The NAB Show – is one of Las Vegas’ biggest. Typically about 100,000 folks officially attend the April ritual, including actual NAB members, along with a much larger group of production and post professionals there to check out the gear and attend the various on and off-site workshops and sessions. For me, that’s part of it, together with the fact that I cover the show as a journalist writing for Digital Video magazine and CreativePlanetNetwork website. Rather than rehash here what I’ve already written, here are the links to my preview and wrap-up articles. If you want to hear what several industry pros thought of as the highlights of the show, check out our local Orlando Post Pros user group meeting, produced by Adrenaline Films and sponsored by Blackmagic Design. In addition, NAB for me is a time to reconnect in person with old and new friends from all over the country and the world. These are folks I’ve known for years, as well as some that I’ve originally met only online. NAB is a chance to spend some face-to-face time – if only for a few moments. It’s also a chance to connect with online friends for the first time and get a new perspective on their ideas. That’s something that’s often lacking in so much of today’s social media and internet forums. This year I had an opportunity to connect with my friends Philip Hodgetts and Greg Clarke from Intelligent Assistance. Most likely you know them as the brains behind such apps as 7toX, XtoCC, Sync-n-Link-X, Lumberjack and more. They also routinely record a web series called Lunch with Philip and Greg. So along with plenty of time at the NAB show, we stepped out to the Firefly restaurant down the road from the convention center. There we recorded an hour of good conversation over unexpectedly excellent food for another episode. A welcomed break from the show. If you get a chance to attend next year, make sure to allow some time to connect with your friends, too. Gear is cool for the nerd in all of us, but it’s not the only part of Vegas! This entry was posted in misc and tagged NAB.